Do voter ID laws help or hurt voter turnout? — Kansas Secretary of State Kris Kobach (R), interview on CNN, May 12, 2017. Kobach is vice chairman of President Trump’s voter fraud commission. Do laws requiring identification at the polls help or hurt voter turnout? Baldwin, who is running for reelection, posted on her campaign Twitter account that about 200,000 votes were suppressed in Wisconsin during the 2016 presidential election. This is a common talking point among Democrats, often used in the context of Hillary Clinton’s loss to Trump in Wisconsin by about 20,000 votes. 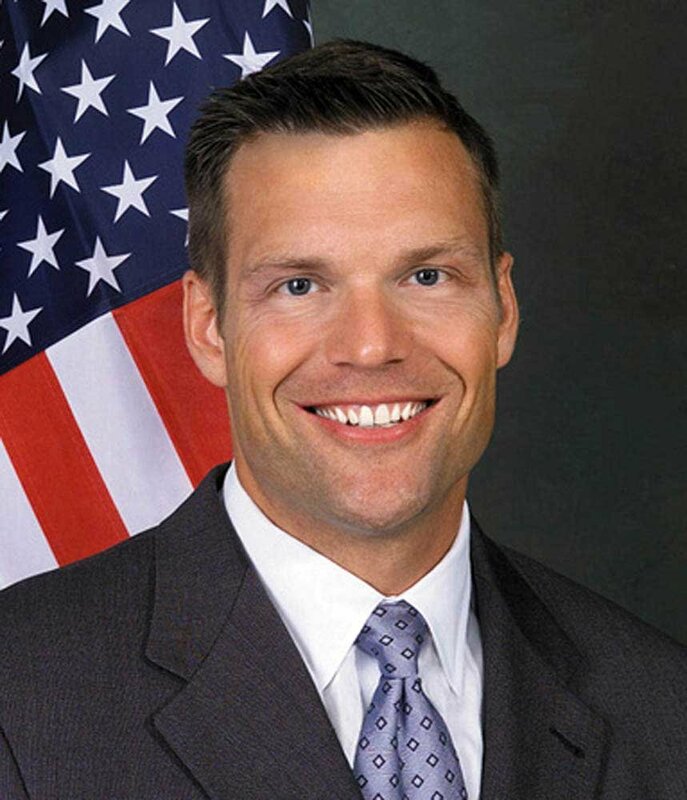 Kobach, who is leading President Trump’s voter fraud commission, said the law had a negligible or potentially positive effect in his state of Kansas, where the voter-identification law also includes a requirement for proof of citizenship. What’s going on? We’ll rate each claim separately. First, here’s an important caveat: Many factors — including even weather on Election Day — affect turnout. It’s difficult to isolate specific reasons for increased or decreased turnout. So readers should be skeptical of politicians who attribute one specific factor to turnout, and dig into the underlying studies that prove or disprove the claim. Critics of voter ID laws say it creates barriers that prevent or discourage people from voting — especially those who already are marginalized and less likely to vote. That includes minority communities, those with language barriers, poor communities and people who live farther away from polling places. Baldwin’s claim is based on a study by a left-leaning group, Priorities USA. 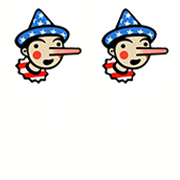 Election experts have widely criticized the report, but 0ther Democrats, including Rep. Keith Ellison (D-Minn.), have made claims based on the report. But correlation isn’t always causation, and the study does not offer evidence of causation. One of the main criticisms of this study is that it attributes all 200,000 votes to Wisconsin’s voter ID law. Yet it’s not that simple. While the law likely had some impact on deterring potential voters, there are other things that may have affected the lower turnout. For example, many voters in Wisconsin decided to sit out this election. There was a lack of enthusiasm among voters for Clinton or Trump, and some may have believed Trump didn’t have a chance at winning Wisconsin, PolitiFact Wisconsin wrote. PolitiFact Wisconsin also pointed out that 2016 turnout in the state was higher than in 2008, before the voter ID law. Rick Hasen, an elections expert at the University of California at Irvine, noted that black voters in Milwaukee, which experienced a dramatic decline in turnout in 2016, were not motivated by Clinton the same way they were for Obama in 2012 or 2008. Moreover, there was a general decline in the black vote in 2016, compared with 2012 or 2008, in both states that had voter ID laws and states that didn’t. The researcher of the study stood by its findings: “One state passed a voter ID law and another didn’t. And in the state which did have a voter ID law, we saw larger declines in nonwhite turnout. And what I can say is internally, the other states which have done in voter ID laws also saw declines in nonwhite turnout.” The internal data is not available publicly. Baldwin’s staff says the findings in the Priorities USA report are consistent with the findings of a 2014 Government Accountability Office report that analyzed various data sets to find out the impact of voter ID laws in Kansas and Tennessee in 2012. The report found that a decline of 1.9 to 2.2 percentage points in Kansas and a decline of 2.2 to 3.2 percentage points in Tennessee that were attributable to changes in voter requirements. Yet the GAO report has a different methodology, and the same percentage decline (2 to 3 percent) in the report would have been equivalent to between 61,000 to 94,000 votes in the 2016 Wisconsin election. It’s difficult to isolate the impact of a specific law on voters’ behavior, yet Baldwin definitively said that Wisconsin’s voter ID law reduced turnout by approximately 200,000 votes. This claim goes too far. The study that Baldwin cited looks at turnout in Wisconsin compared with Minnesota, which does not have a voter ID law. It finds that Wisconsin had lower turnout among nonwhite communities while Minnesota did not — then concludes votes were suppressed, without exploring any other factors that may have affected turnout. By the time of Baldwin’s tweet, there were several criticisms of this report and talking point. It should have been a warning sign to her campaign staff before she tweeted it as a definitive fact with no caveats. Kobach claims that voter ID laws had little, or possibly a positive, effect on turnout in the state. 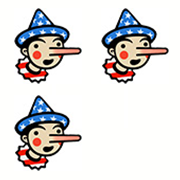 He compared turnout figures from midterm elections in 2014 (51 percent turnout, with 887,023 ballots cast) to 2010 (50 percent turnout, with 856,831 votes cast). According to Kobach’s office, out of the votes cast in 2014, 570 (.06 percent) were provisional ballots issued because lack of sufficient photo ID at the polling place. Among the 570, about half (267) provided sufficient photo ID before the county canvass and were able to make their votes count, his office said. Kobach pointed us to research done in response to a lawsuit against the state’s proof-of-citizenship requirement. The research analyzed Census Bureau data on registration and voting rates in 2010 and 2014, before and after the proof-of-citizenship requirement, and found no indication the requirement negatively affected registration or voting rates in Kansas. Again, it’s difficult to isolate the voter ID law as a single factor that made a difference in the turnout in 2014. Midterm years aren’t always the best gauge for voter behaviors because there normally is lower turnout, compared with presidential election years. For context: Fewer than 900,000 votes were cast in 2010 and 2014, but there were 1.2 million votes cast in 2012 at a 66.8 percent participation rate and 1.3 million votes cast in 2008 at a 72.3 percent participation rate. Kansas elections in 2014 were uniquely competitive and led to intense, effective get-out-the-vote efforts, according to elections experts in the state. Gov. Sam Brownback (R) narrowly won reelection after a hard-fought campaign — the first competitive gubernatorial race since 2006. The Senate race was one of the most competitive in the country, and elections experts expected turnout to be high in the 2014 election. “I think that his comparison is not really appropriate, or even a fair comparison, because he’s not counting for the difference in what those elections [in 2010 and 2014] looked like,” said Patrick Miller, University of Kansas elections and political behavior expert. This shows that even if voter ID laws have a negative impact, other factors can counteract the effect of such laws. Certain communities may be discouraged from voting, but grass-roots mobilization efforts may target other communities that turn out in droves and end up increasing turnout rates for the whole precinct, city, county or state. The 2014 GAO report found that in 2012, compared with 2008, there was a decline in participation in Kansas in certain registered voting groups — voters 18 to 23 years old, those registered less than one year, and black voters. The GAO controlled for other factors that may have affected such turnout, especially compared with turnout in states similar to Kansas, and found changes in voter ID requirements may have led to the decline. Kobach criticized the methodology in the GAO report and said 2008 and 2012 are not comparable because there was no statewide election in 2012 that mobilized get-out-the-vote efforts. But several elections experts said turnout in presidential years are not usually tied to down-ballot candidates. Kobach’s claim lacks context. He claims that the voter ID law in his state either didn’t have much effect or had a slightly positive effect, because there was a net gain in votes in 2014 compared with 2010. But 2014 was a unique year for Kansas elections, and intense grass-roots organization led to increased turnout for a midterm year. And midterm elections aren’t the best gauge for turnout behavior.